On a floured surface, roll out the dough into a rectangle. Spread melted butter on top. Combine cinnamon and sugar, then sprinkle the mixture on top of the dough. Cut the dough into 10 strips and make each strip into a heart shape. Transfer the cinnamon roll onto a baking sheet lined with parchment paper. 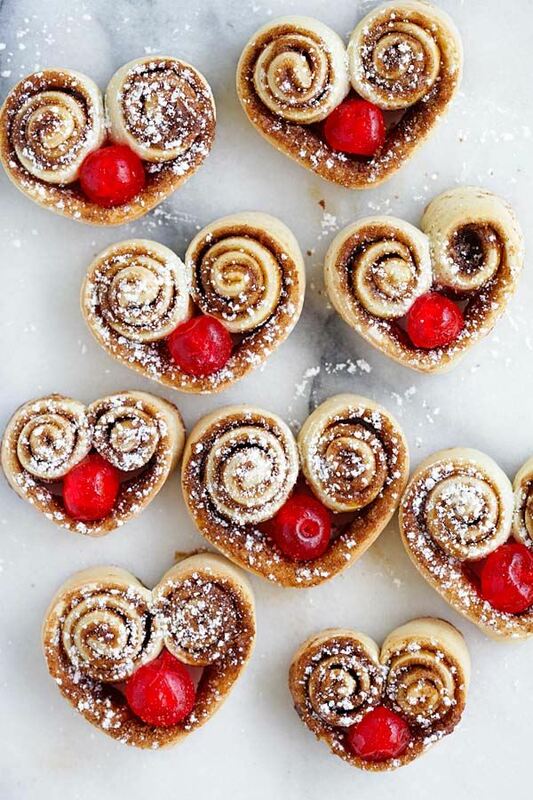 Place a cherry into each cinnamon roll. Bake 10-12 minutes, or until slightly golden. Dust with powdered sugar and serve warm.